Ichabod who? 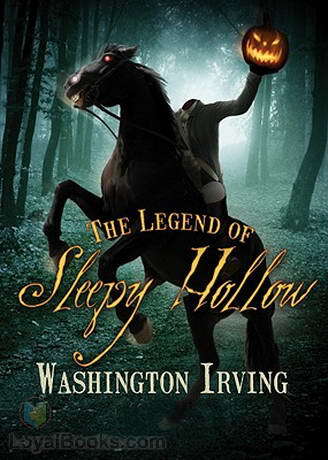 In Sleepy Hollow, released in 1999, Tim Burton took Washington Irving’s classic story, stole what he wanted and threw the rest out the window the way the Headless Horseman tossed out flaming pumpkins. 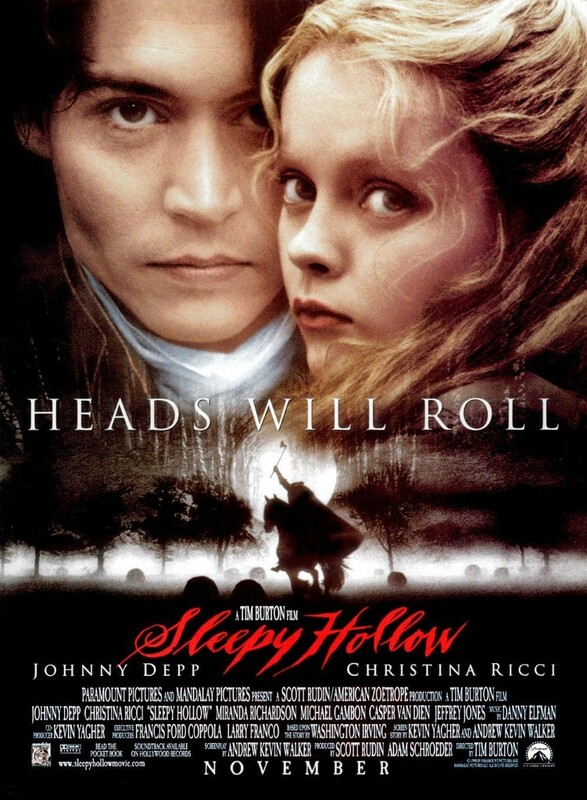 Today’s Saturday Matinee stars Johnny Depp as Ichabod Crane in one of his more successful collaborations with Burton. 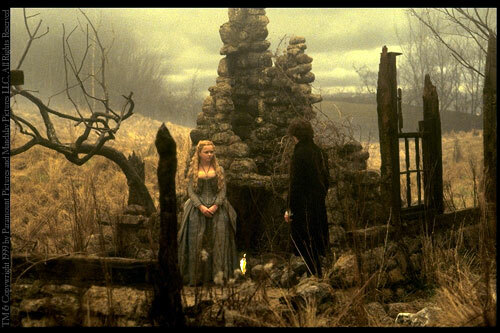 The gorgeous look of the movie—which Ebert likens to art from the Hudson River School—comes down to the art direction by Richard Heinrich and set decoration by Peter Young, both of whom won the Academy Award for creating that magical landscape. 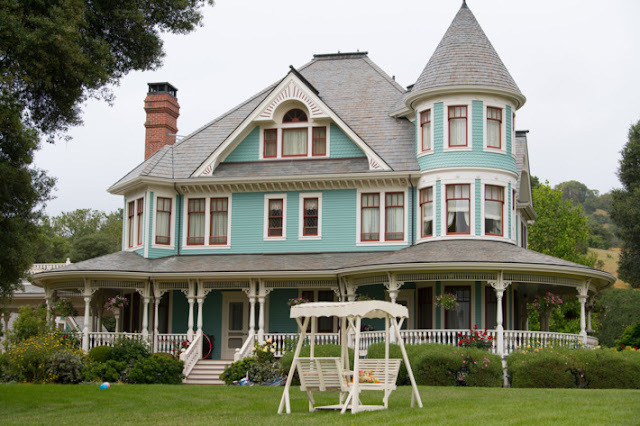 Just as importantly the film was shot by the now-legendary Emmanuel Lubezki. Lubezki, who was nominated for his cinematography for Sleepy Hollow won the Oscar for both Gravity and Birdman. 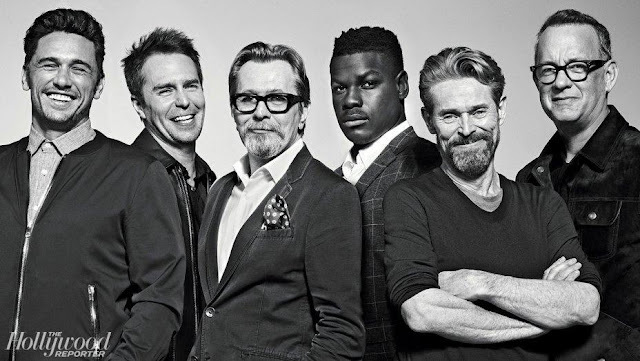 The stunning work he’s doing now can be seen in The Revenant trailer which I shared here. The three-time Oscar winning costume designer Colleen Atwood was also nominated. Take a look at Atwood’s extraordinary designs for Into the Woods in my Into the Woods costume design post. She was nominated for that too. 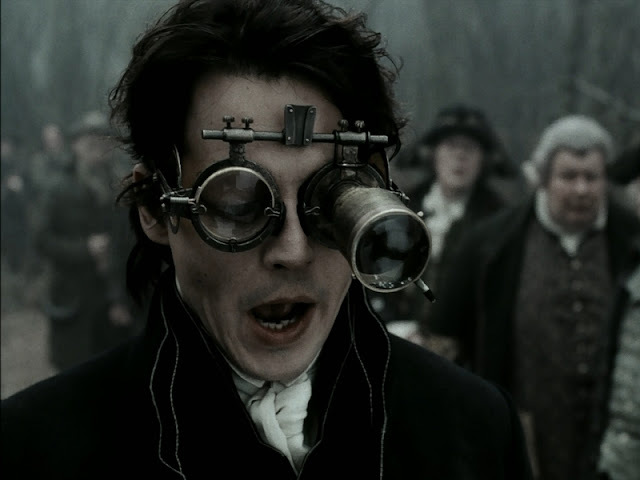 That’s three reasons to watch Sleepy Hollow without even taking into account Johnny Depp at his most adept way of slinking inside a character, exploded via Tim Burton’s astonishing—but well-tempered here—imagination. Sleepy Hollow is available to stream on Netflix, Vudu, Google-Play, Amazon and YouTube. Have you seen Sleepy Hollow? 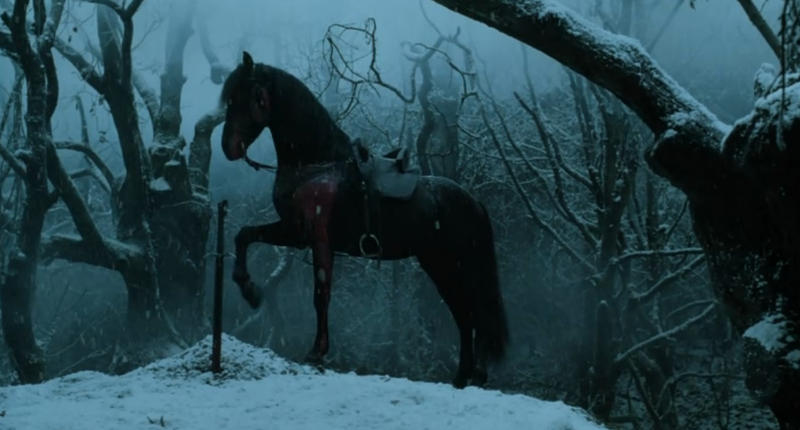 Do you know who plays the Headless Horseman?